“The Line (Čiara)” showing at the Slovak Embassy on January 26th – Slovak American Society of Washington D.C. 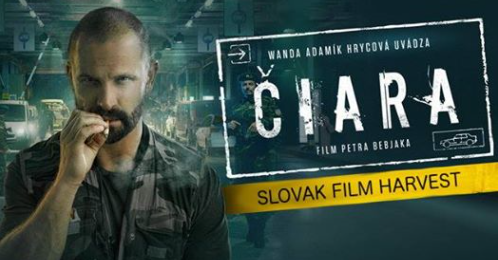 Showing at the Embassy of the Slovak Republic (3523 International Ct NW, Washington, DC) on Friday, January 26th at 6:30 pm is the recent film release, Čiara (The Line), directed by Peter Bebjak. Film Synopsis: Adam Krajňák is head of the family and also boss of a gang of criminals smuggling cigarettes across the Slovak-Ukrainian border. The failure of one of the transports triggers an avalanche of consequences that compels him to question his own boundaries, none of which he had planned on crossing until now. Please RSVP at rsvp.washington@mzv.sk by January 24th. This entry was posted in Events, General News. Bookmark the permalink.